Stand Beautiful, written by teen TedX speaker and CURE.org ambassador Chloe Howard, encourages readers of all ages to embrace their own uniqueness and celebrate the differences in others. Born with a clubfoot, Chloe had five major operations by the time she was fifteen. Through her hardships, she learned that each of us is perfect in our own imperfect way. With some inspiration from Bono, Chloe set out to create the Stand Beautiful movement, encouraging others to accept themselves just as they are. 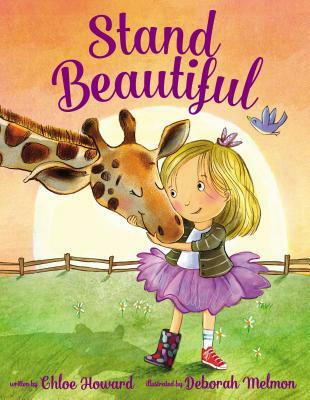 With playful text and adorable illustrations by Deborah Melmon, this picture book asks the question: Will YOU stand beautiful too? The adorable cover of this book draws readers in and shines bright with embossing and foil.